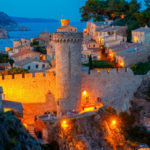 If you are passionate about hiking, Tossa de Mar is an excellent hiking base on the Costa Brava. With several mountains in the surrounding area and the sea nearby, the town is attractive to walkers. You will enjoy the beauty of the coast as well as that of Tossa de Mar. Discover the best hikes and walks to do around this small seasideresort with Medieval charm! 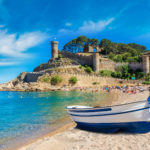 Are you spending your next holiday in Tossa de Mar? Why not take the opportunity to discover the wild coast while keeping fit? 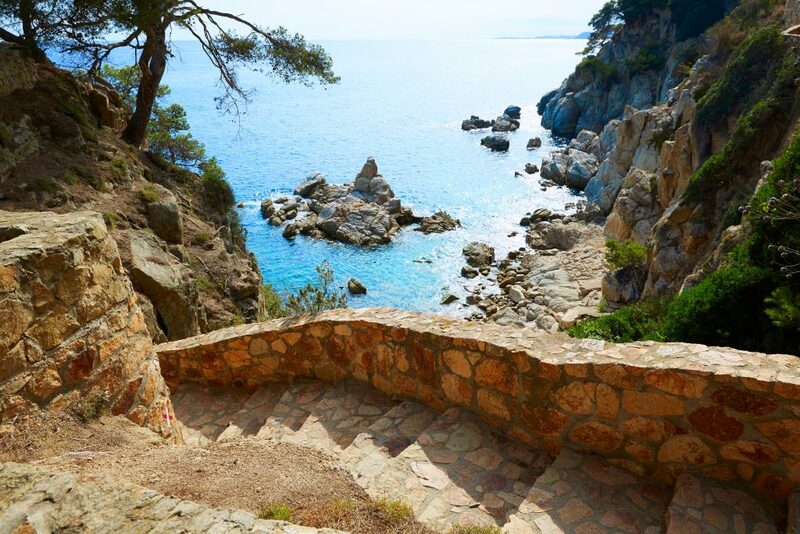 If you love walking or hiking: enjoy the charms of the landscapes of the Costa Brava. It’s a good way to escape from the crowds of the coastal towns and to enjoy a natural holiday. On your way (signposted of course! ), do not miss out of the informative signposts that will teach you more about the places that you pass through. Set off in the discovery of the massif of Cadiretes, next to Tossa de Mar! You can set off as a pair for a romantic walk, you’re your family or friends to break away from the beach or cultural visits. It’s the perfect way to relax at your own pace, far from daily life. Do you just want to break away and relax? Opt for a villa with sea view in Tossa de Mar and enjoy your holiday to the full! Take a look at Tossa de Mar’s rental villas. If you are looking for different ways to hike or you are searching for new activities, we recommend Nordic walking. Straight from Scandinavia and inspired by the training of cross-country skiers, it is claimed to be sportier than regular walking. Equipped with sticks, walk along the hiking trails around Tossa de Mar. If you want to discover this sport, choose Nordic walking courses and excursions from Lloret de Mar, a prime destination to practise this sport. Tossa de Mar is only about ten kilometres away from LLoret. Before setting off on your hike, do not forget to equip yourself well! 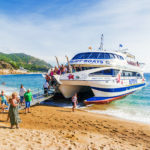 The Costa Brava’s sun can be very strong, especially in the summer! Therefore, do not leave without bottles of water and sunscreen. 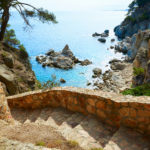 Where can you hike around Tossa de Mar? Here we suggest four hiking routes leaving from Tossa de Mar. 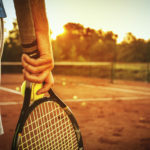 For more information, you can head directly to the Tossa de Mar tourist office which will provide you with leaflets explaining the circuits in detail. They also offer themed guided tours. 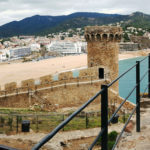 1 – Tossa de Mar – Sant Grau: 13km round trip, so count on a 6-7 hour walk. Be aware that the route has steep climbs! 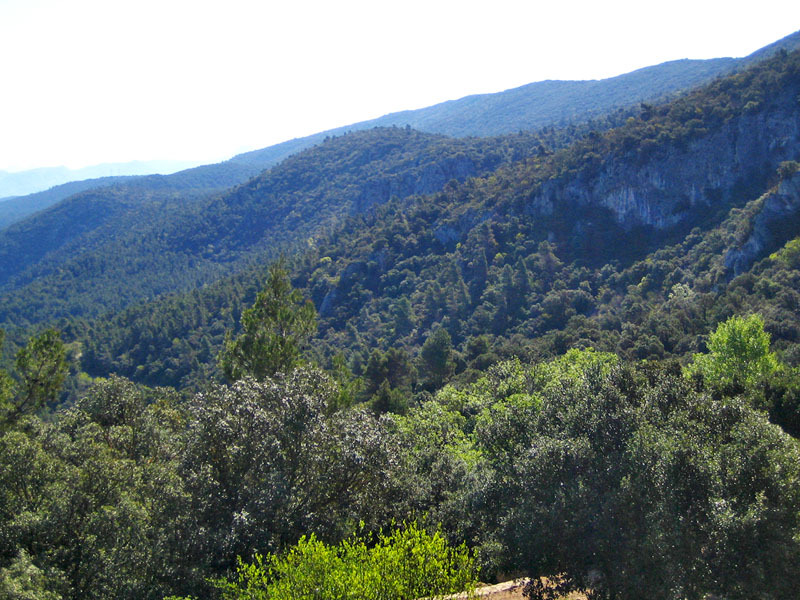 2 – Tossa – Puig de Cadiretes: A 13km loop that will take you to the heights of the Cadiretes massif. Put aside about 5 hours for this hiking route. 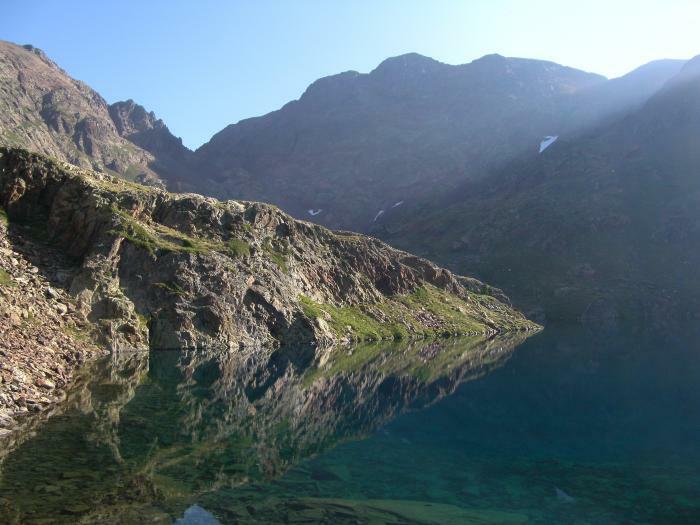 3 – Tossa – Montllor et Vall de Roc: A 12km loop that will take you about four hours on foot. 4 – The shortest of all routes leaves from the Tossa de Mar Tourist Office and is 3km long. You will walk along the coast and enjoy a superb view of the Mediterranean sea. The GR 92 is another pleasant route to follow that sets off from Tossa de Mar. This marked hiking trail follows the old “Cami de Ronda”. What are the Camis de Ronda? They are rampart walks that linked the villages of the Costa Brava. This helped to avoid coastal traffic and also to reach the most isolated villages. Today you can follow this path between land and sea. You can reach Lloret de Mar on foot from Tossa de Mar. 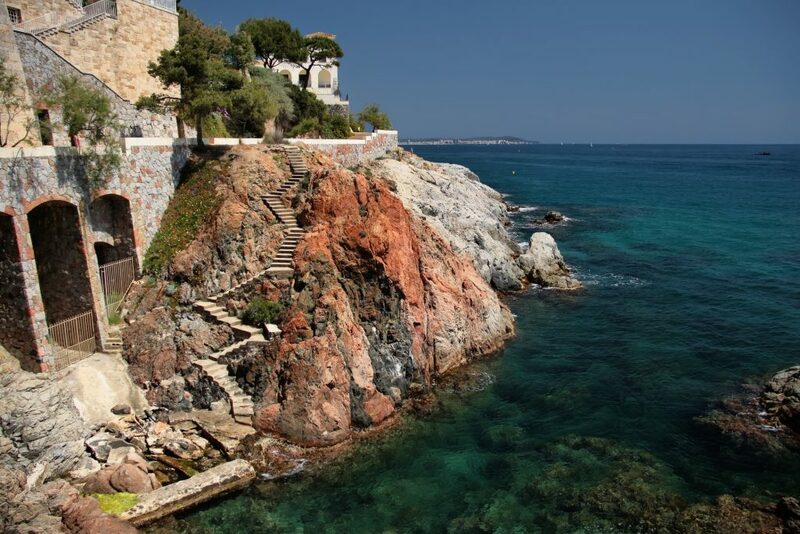 During this walk, let yourself be tempted by a short swim in the coves of the coast! Also note that on the wikiloc site, hikers share their itineraries as well as all of the information you need on each circuit. You will find information about the hikes that you can do from Tossa de Mar.